Why have one fixed room when you can have two flexible ones? In the Irish market KCC Architectural are their proud partner and we have been working together on a number of high end projects together. If you have ever been to the National Conference Centre you will have seen the walls in action and we are currently in the process of installing a high specification movable wall in the offices of a large technology company based in Dublin City centre. Walls up to 15m high. Seamless boards up to 5.5m high offering joint free designs. Full fire cert for the movable wall with door access in the wall. Class O surface spread of flame. Complex track and parking arrangements. Fully customisable surface finishes from silk to metal and anything in between. The movable walls can be custom designed to maximise your space and blend seamlessly with your interior design elements. They are extremely durable and easy to operate with the highest quality sound insulation. 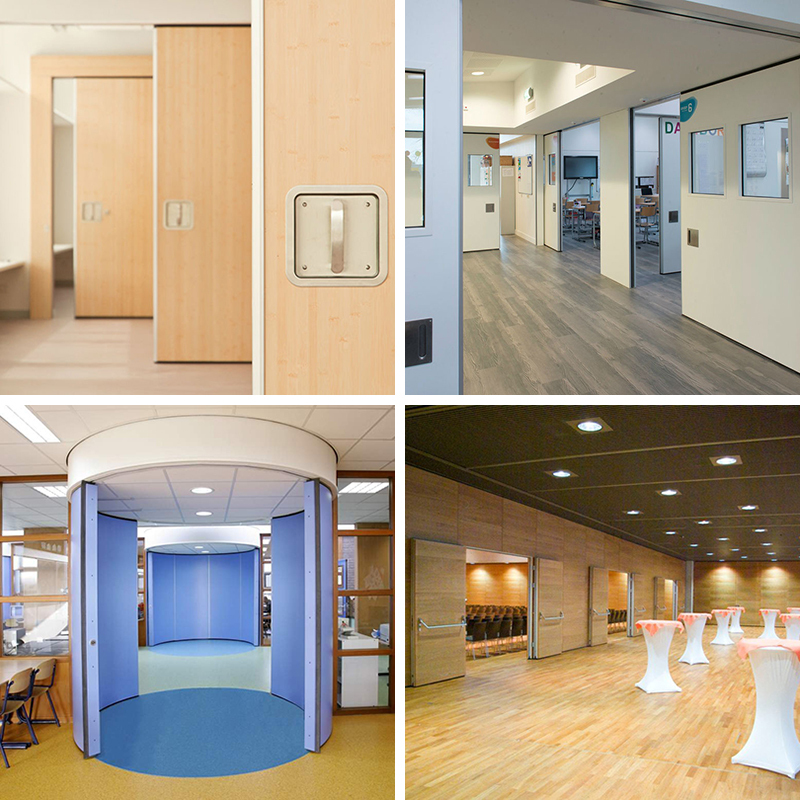 A great solution for large offices, hotel and conference facilities the possibilities are endless in terms of shape, size, material, colour, finished edges, corner elements and glass openings. Even curved walls and tracks are possible as we tailor all projects to your needs. From sustainability point of view Parthos are a participant of the Dutch Green Building Council and as such Parthos solutions are designed and built in the Netherlands to minimise their carbon footprint and are fully recyclable at the end of their life cycle. Why not check out the video below which shows the installation by Parthos of the biggest operable wall project in the world at the Marina Bay Sands hotel in Singapore.